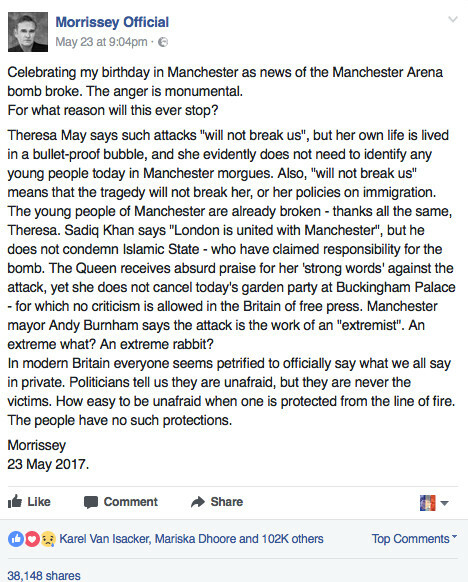 And it seems Morrissey has indeed said what many think as over 100.000 people have already liked the post, more than 38.000 have shared it and over 8.000 people have already commented on his Facebook status update (not all in favour of Morrissey though). 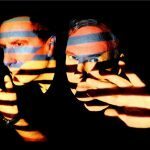 In further news related to the attack, an old interview from Belgium’s socialist party leader John Crombez has upset many as he claims in the interview that ISIS terrorists share exactly the same problems the punk movement followers had, and that we are to blame for the bombings taking place. 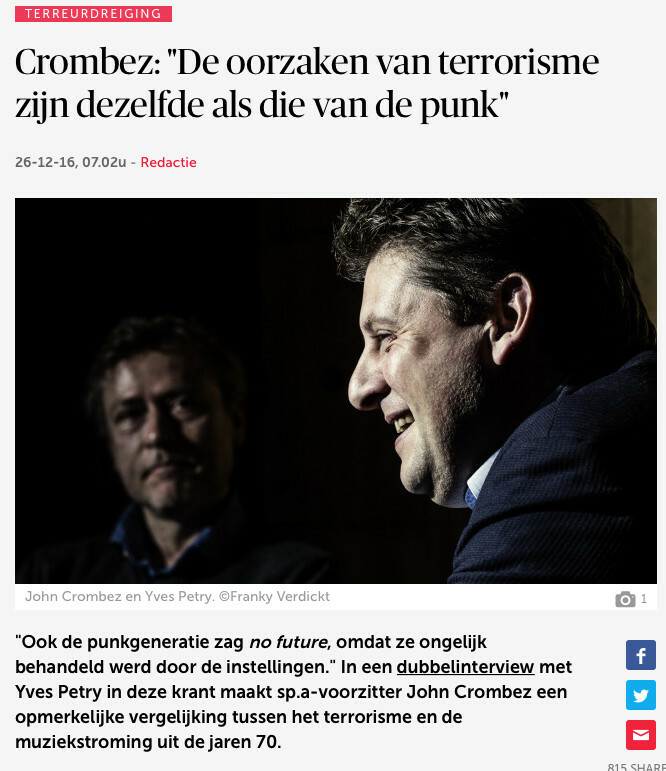 At the time of publication (2016) many thought that Crombez was just talking trash and “trying to appease his loyal islam voters” as many critics called it. 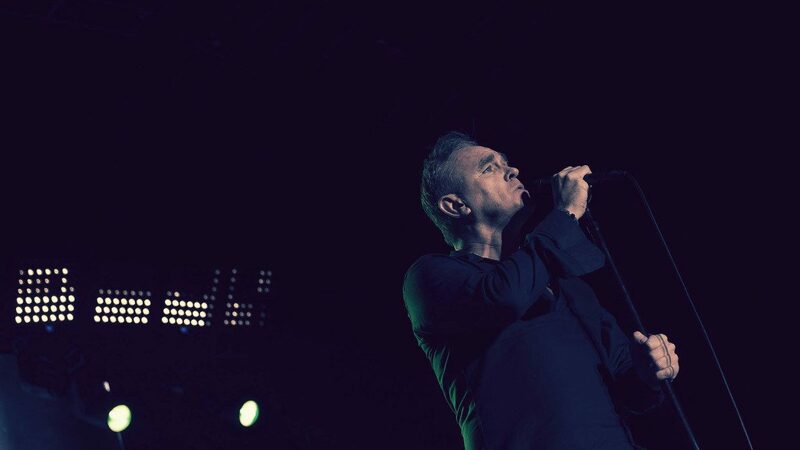 But in the light of the attack during a kid’s pop concert the whole interview now reads as a very ill-mannered way to downplay islam extremism. Next to this, suggesting that punks aren’t any better than ISIS followers isn’t really a clever idea either. We asked Crombez for a reaction but he decided not to return our calls. Here’s the interview headline and excerpt which is causing so much disgust.